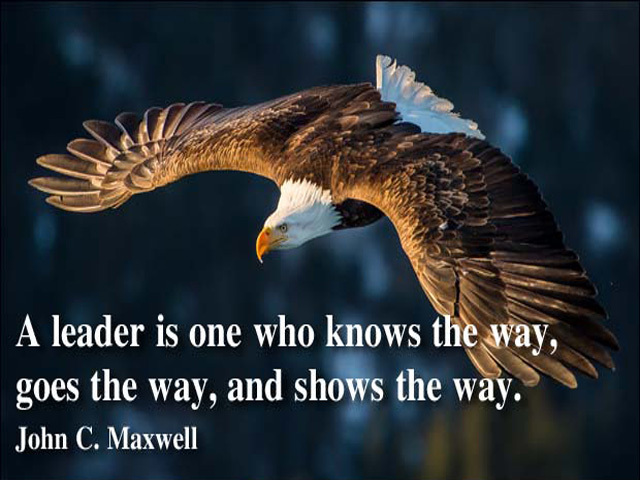 Leadership and Qualities of a Leader. Leader is a person who influences a group of people towards the achievement of a goal. There are several definitions of the word leader but the one above is one of the best fit. Leadership is an art of transforming dreams into reality with cummulative efforts of a team. It's all about inspiring others to pursue your vision to the extend that it becomes a shared vision and ultimately a shared success. Great personalities like famous Kings, Presidents and freedom fighters come into our minds when we hear the word leader. This is because we identify those heart-touching qualities in them that made us appreciate their efforts but really, it is not only as we grow up that we understand what a leader should be like, rather it is what we have in us (since we were young) that we want to see implemented by others to achieve a certain goal. Do you recall how all eyes fell on that one particular person when the teacher asked your class, "Who would you want to be your class monitor?" The leadership qualities are present in many of us but due to various reasons we do not let them surface. Instead we look upon a person who has in them, what one feels should be the right approach towards tackling a certain challenge. The qualities of a good leader are subjective and several but a great leader knows to display the appropriate quality at the appropriate moment. The above qualities are self explanatory. These basic qualities plus many others (not mentioned here) play in synchrony, depending on the situation to bring about a change that is noteworthy. A leader stands out in a crowd not because he is always loud but because he is calm and composed and allows others to speak their mind. He is appreciated by others because he is determined to achieve what others think is difficult or impossible. He make things happen. He delegates relevant duties which best suits an individual's capability to have optimum results. 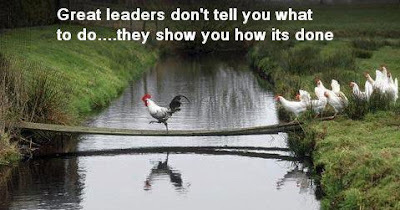 Leaders are born everyday but only few are exemplary and memorable because their action speaks louder than their words. * This topic was requested by one of the blog readers. Thank you for your encouragement. Hope you find it beneficial.